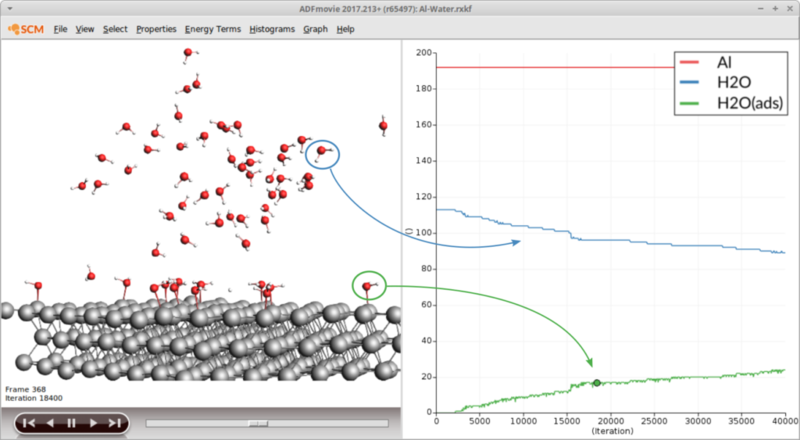 In the ReaxFF development version it is now possible to detect if a molecule is adsorbed to a surface and even distinguish between different adsorbed species. The new species detection allows for an easy tracking of surface reactions throughout a ReaxFF trajectory in particular when used from the GUI. The “H2O(ads)” must be understood as a water molecule adsorbed on a surface via its oxygen atom. This tutorial requires the installation of an AMS2018 or later version – request a 30-day free evaluation if you do not have access.